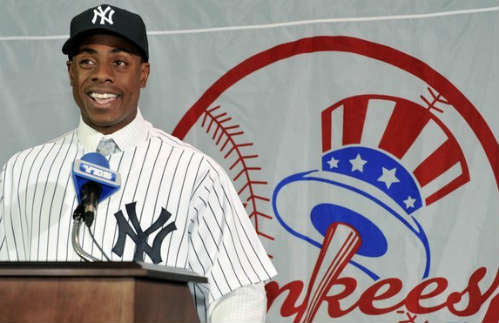 Is Curtis Granderson a Yankee? After hearing news that the Mets signed Curtis Granderson, I went to the office of a colleague (at my real job) who happens to be a huge Mets fan and has held season tickets for the past 15 years. I asked her if she was excited about The Grandy Man joining the Mets.